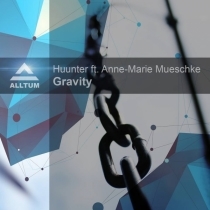 Huunter is an American electronic composer who works in varied musical genres including acoustic and electronic rock, but has most recently focused on progressive and uplifting vocal trance. Originally from Mississippi, Huunter is inspired by Ummet Ozcan, BT, and Armin Van Buuren. His first release “Gravity Feat. Anne-Marie Mueschke” is to be released on Alltum Records. Anne-Marie Mueschke (vocals) is a singer, artist, and actress who works in television, film and theatre. She was born in Louisiana and currently works out of New York. Her credits include the television series “Siberia,” the award winning short film “Skinny Jo” and the soon to be released indie feature “Sycamore.” She is currently writing her first original feature film.